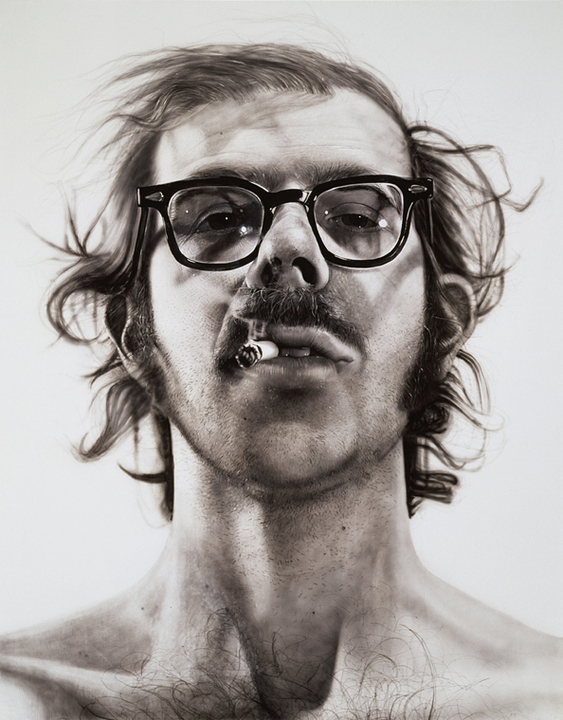 Close was successful in the contemporary art world by the 1970’s, painting huge portraits in a photo-realistic style. In 1988, he suffered the sudden rupture of a spinal artery, which left him confined to a wheelchair, partially paralyzed with limited use of his limbs. Despite this, he continued to paint with a brush taped to his wrist. He went on painting enormous portraits, but in a more abstract style. An interesting fact: Close suffers from a condition called prosopagnosia, or face blindness, an impairment in the ability to recognize or differentiate between human faces. Close has said that he feels his portraits are a way to help him recognize the important people in his life. 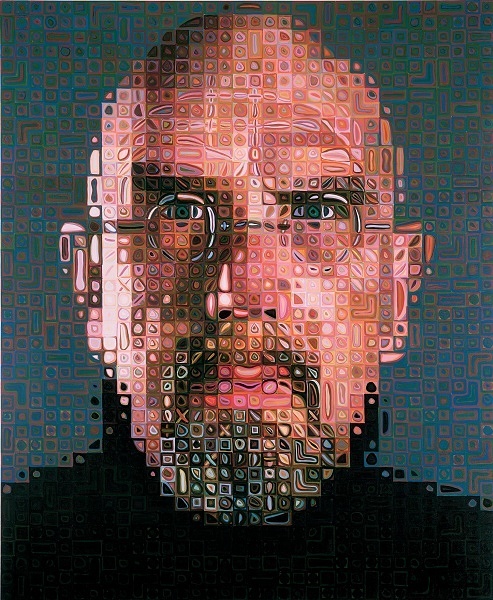 This entry was posted in inspiration, process and tagged chuck close on June 2, 2014 by Helen Ellis.